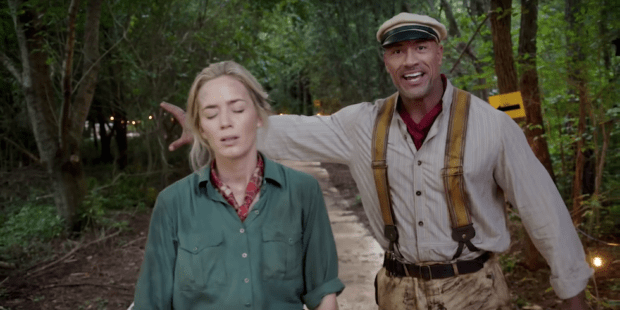 Disney has released a small promo clip of Emily Blunt and Dwayne “The Rock” Johnson to promote their upcoming film, “Jungle Cruise,” in theaters October 2019. 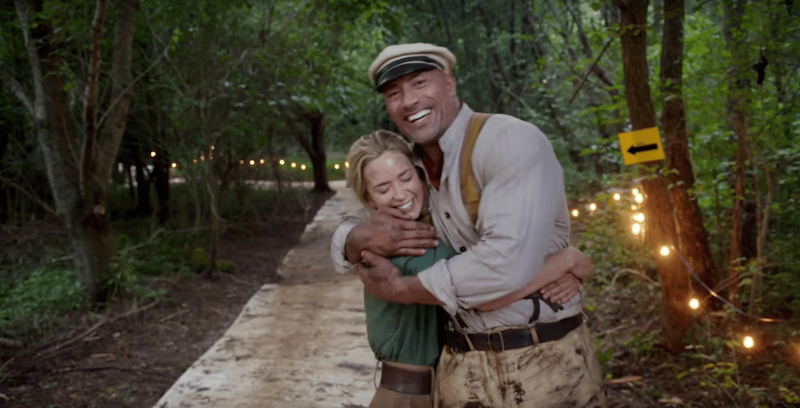 Follow these skippers on the adventure of a lifetime when “Jungle Cruise” hits theaters in October 2019. In the clip, Blunt welcomes viewers to the set of the film, and is about to explain her surroundings when Johnson arrives (much to her chagrin) and interrupts her shot. The two co-stars bicker about being the next Fred Astaire and Ginger Rogers, or “Kathleen” Hepburn and Humphrey Bogart, before admitting that “Jungle Cruise” is a love story. Johnson then steals Blunts line, calling “Jungle Cruise” “the adventure of a lifetime,” as Blunt storms off set… Just kidding! The two laugh it off and Johnson ends the promo with a prank. 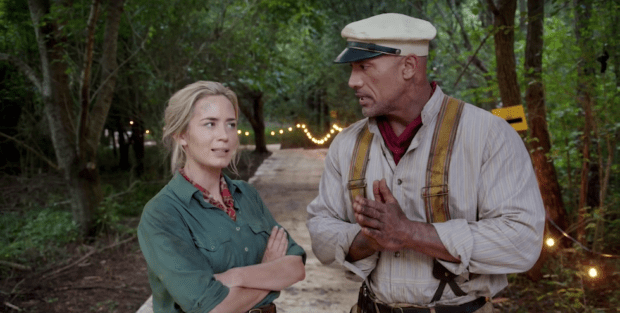 Disney’s “Jungle Cruise” is now in production, and will journey into theaters in October 2019.